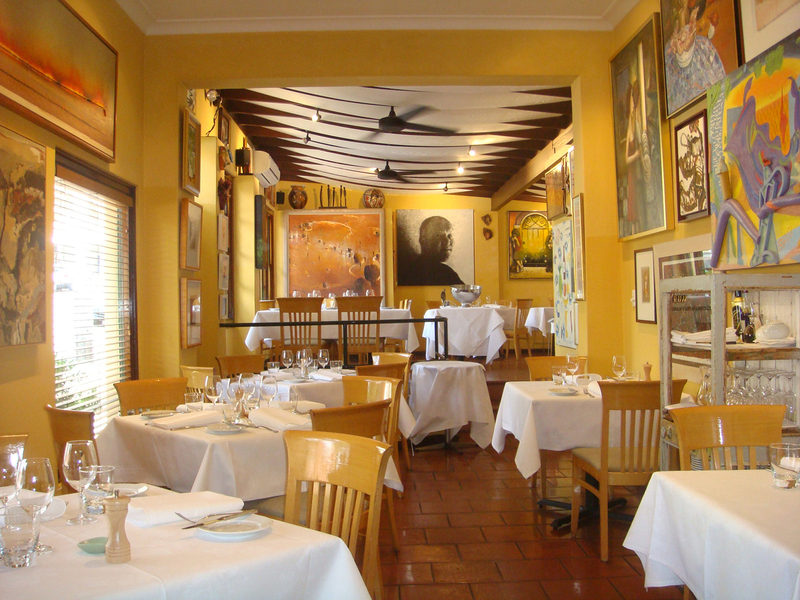 Lucio Galletto’s restaurant, open since 1983, is home to a true gallery, with paintings by John Olsen, John Coburn and Tim Storrier. The menu, on the other hand, is Northern Italian, and favors seasonal produce, fresh daily homemade pasta, as well as fish. Featured desserts include a wild fennel pollen ice cream and a pineapple cream pastry. 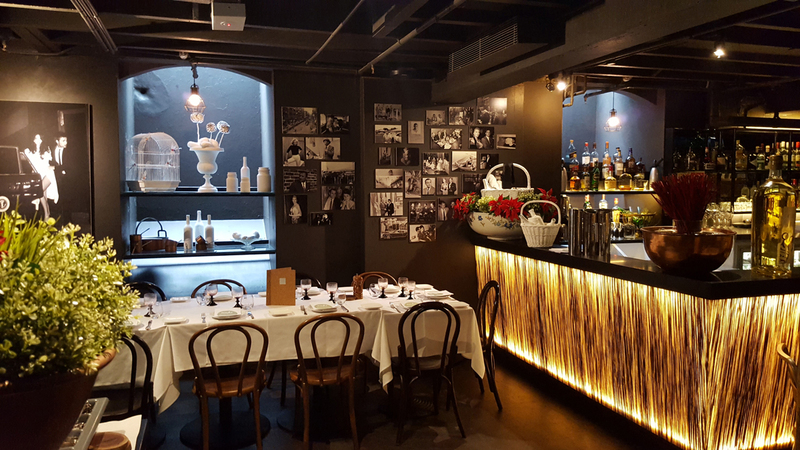 On Barrack Street, between Hyde Park and the Sydney Aquarium, you will find Mach2, where the ragù sauce for the pappardelle is cooked on low heat for twelve hours, fettuccini are served with black truffles, porcini mushrooms, mascarpone and squid, while the bar has a ’60s vibe to it. Breakfast is more international with muesli, salmon, ricotta and pancakes. 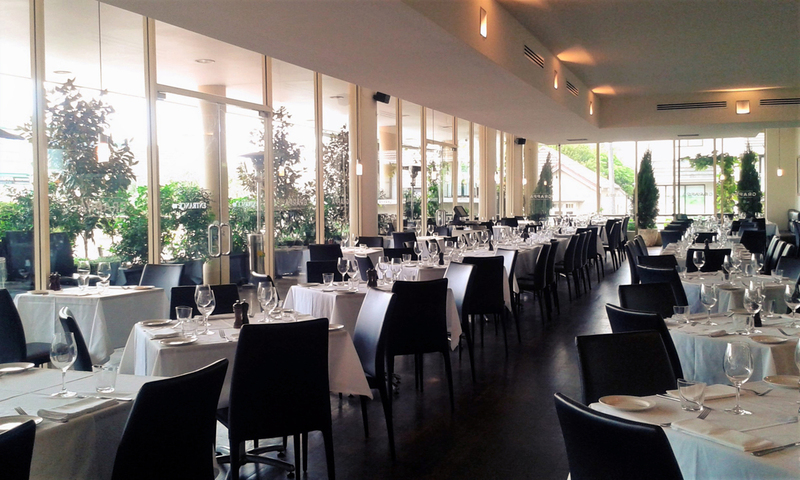 Oliveto has a bar where you can order a Spritz or Bellini accompanied by oysters or arancini. Here you will find dishes from all over Italy, with homemade bread, pasta and desserts, as well as a number of daily specials that include grilled scampi, mint risotto, traditional herb bread, and squid with peas, all served with a view over Brays Bay Reserve in a green seaside setting. Ten years ago, Deus ex Machina began producing motorcycles, bikes and surfboards. 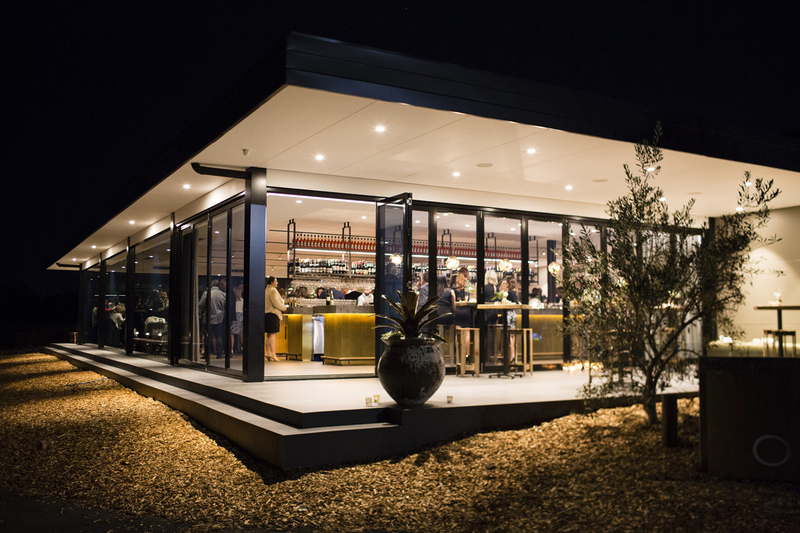 Then it inaugurated its first restaurant in Sydney, opening early in the morning and closing late at night, serving breakfast, lunch, dinner, drinks and snacks, in a restaurant with large windows, wooden tables, motorbikes and tasty dishes ranging from burgers to lamb and sirloin steak. 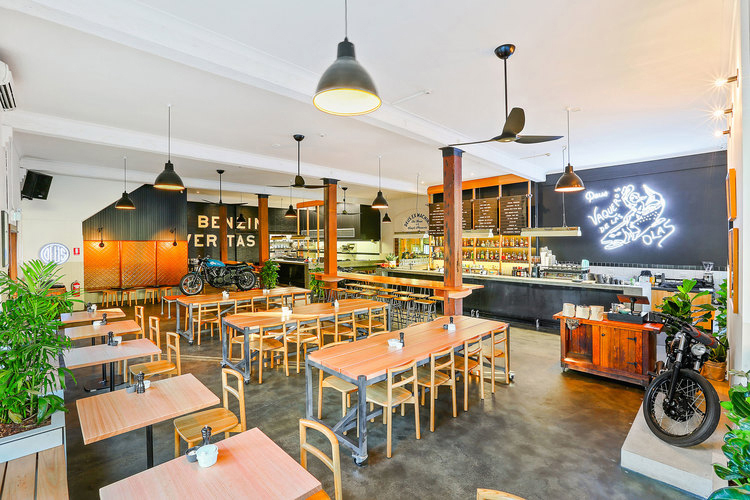 This restaurant in Norton St. prepares dishes using both local products and the very best Italian produce. 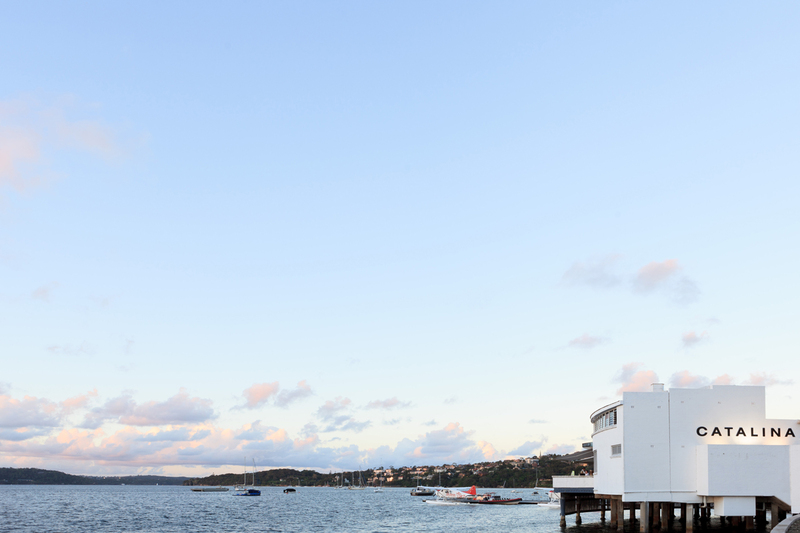 Sausages are imported from Calabria, while its beef comes from Tasmania and oysters from Pambula and Port Stephens. The menu starts with eggplant parmigiana appetizers and ends with a platter of selected cheeses, including testun al barolo and gorgonzola dolcelatte.